Wang Shijin, Avin Mathew, Yan Chen, Lifeng Xi, Lin Ma, Jay Lee. Empirical Analysis of Support Vector Machine Ensemble Classifiers. Expert Systems with Applications. 2009, 36: 6466-6476. Yu Jianbo, Wang Shijin. Using minimum quantization error chart for the monitoring of process states in multivariate manufacturing processes. Computers & Industrial Engineering, 2009, 57: 1300-1312. Yu Jianbo, Wang Shijin, Xi Lifeng. Evolving Artificial Neural Networks Using an Improved PSO and DPSO. Neurocomputing Letter, 2008, 71(4-6): 1054-1060. Shijin Wang, Benyan Ye. Exact methods for order acceptance and scheduling on unrelated parallel machines. Computers & Operations Research, 2019, 104: 159-173. Shijin Wang, Xiaodong Wang, Li Yu. Two-stage no-wait hybrid flowshop scheduling with sequence-dependent setup times. International Journal of Systems Science: Operations & Logistics, 2019. Shijin Wang, Xiaodong Wang, Jianbo Yu, Shuan Ma, Ming Liu. Bi-objective identical parallel machine scheduling to minimize total energy consumption and makespan. Journal of Cleaner Production, 2018, 193: 424-440. Shijin Wang, Benyan Ye. A comparison between just-in-time and economic order quantity models with carbon emissions. Journal of Cleaner Production, 2018, 187: 662-671. 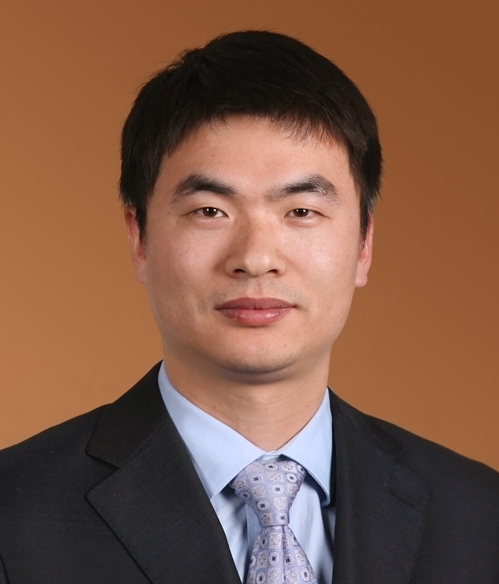 Shijin Wang, Shuan Ma.Efficient methods for a bi-objective nursing home location and allocation problem: A case study. Applied Soft Computing, 2018, 65: 280-291. Shijin Wang, Zhanguo Zhu, Kan Fang, Feng Chu, Chengbin Chu. Scheduling on a two-machine permutation flow shop under time-of-use electricity tariffs. International Journal of Production Research, 2018, 56(9): 3173-3187. Shijin Wang, Ming Liu, Feng Chu, Chengbin Chu. Bi-objective optimization of a single machine batch scheduling problem with energy cost consideration. Journal of Cleaner Production, 2016, 137(20): 1205-1215. Wang Shijin, Liu Ming, Chu Chengbin. A branch-and-bound algorithm for two-stage no-wait hybrid flow-shop scheduling, International Journal of Production Research, 2015, 53(4): 1143-1167. Wang Shijin, Liu Ming. Two-machine Flow Shop Scheduling Integrated with Preventive Maintenance Planning. International Journal of Systems Science, 2016, 47(3): 672-690. Wang Shijin, Liu Ming. Two-stage Hybrid Flow shop Scheduling with Preventive Maintenance Using Multi-objective Tabu Search Method. International Journal of Production Research, 2014, 52(5): 1495-1508. Wang Shijin. Bi-objective Optimization for Integrated Scheduling of Single Machine with Setup Times and Preventive Maintenance Planning. International Journal of Production Research, 2013, 51(12): 3719-3733. Wang Shijin, Liu Ming. A Genetic Algorithm for Two-stage No-wait Hybrid Flow Shop Scheduling Problem. Computers & Operations Research, 2013, 40(4): 1064-1075. Wang Shijin, Yu Jianbo. An effective heuristic for flexible job-shop scheduling problem with maintenance activities. Computers and Industrial Engineering, 2010, 59(3): 436-447. Wang Shijin, Zhou Binghai, Xi Lifeng. A Filtered-Beam-Search based heuristic algorithm for Flexible Job-shop Scheduling Problem. International Journal of Production Research, 2008, 46(11): 3027-3058. Wang Shijin, Xi Lifeng, Zhou Binghai. FBS-enhanced agent-based dynamic scheduling in FMS. Engineering Application of Artificial Intelligence, 2008, 21(4): 644-657. Wang Shijin, Xi Lifeng, Zhou Binghai. Filtered-Beam-Search-Based Algorithm for Dynamic Rescheduling in FMS. Robotics and Computer-Integrated Manufacturing. 2007, 23(4): 457-468. Shijin Wang, Shuan Ma. Efficient methods for a bi-objective nursing home location and allocation problem: A case study. Applied Soft Computing, 2018, 65: 280-291 (SCI). Shijin Wang, Shuan Ma, Bin Li, Xue Li. A bi-objective model for nursing home location and allocation problem. 2016 International Conference on Service Systems and Service Management, Kunming, Yunnan, China. Shijin Wang, Benyan Ye. A comparison between just-in-time and economic order quantity models with carbon emissions. Journal of Cleaner Production, 2018, 187: 662-671 (SCI). Shijin Wang, Benyan Ye. A benders decomposition-based heuristic algorithm framework for unrelated parallel machine scheduling problem with weighted maximum earliness and tardiness. 2017 IEEE International Conference on Industrial Engineering and Engineering Management (IEEM), Dec. 10-13, 2017, Singapore. Shijin Wang, Benyan Ye. A variable neighborhood search based method for integrated hybrid flow shop scheduling with distribution. Soft Computing, under review. Shijin Wang, Xiaodong Wang, Li Yu. Two-stage no-wait hybrid flowshop scheduling with sequence-dependent setup times, International Journal of Systems Science: Operations & Logistics, 2019, in press. 王世进, 王晓东. 结合Setup和有限等待时间的两阶段混合流水调度优. 工业工程与管理, 2018. Shijin Wang, Xiaodong Wang. An effective evolutionary strategy for bi-objective airport gate assignment problem, The 47th International Conference on Computers and Industrial Engineering, Universidade Nova de LisboaLisbon, Portugal, 2017/10/11- 2017/10/13. Min-max regret single machine scheduling problem with interval processing times and total tardiness criterion. Under review. Column generation based algorithm for minimizing single-machine completion time variance. 1st Revision.